Construct the city of the 21st Century with City Life! City Life 2008 Edition is a next-generation City Builder. Its 3D game engine provides a level of detail and animation unprecedented in the City Builder genre, with total freedom of construction. From superb villas in residential neighbourhoods to imposing skyscrapers in the financial district, design, construct and develop the city of your dreams. Provide comfort and satisfaction for your citizens by offering them work, health care, entertainment facilities, and much more, and ensure that your city’s coffers are brimming. It’s up to you to manage your city efficiently, balancing booming development with the problems of pollution and traffic that this brings. Build a sense of community between the six unique subcultures, or pay the price if their relationships deteriorate into conflict or riots. You are the architect, mayor and business mogul! 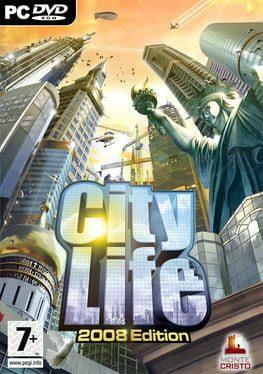 City Life 2008 is available from 7.80 to 9.99 from 2 shops.